Summer this year is unbearably hot. I try to avoid going out during the day to avoid heat exhaustion. I don’t even take the dog for walks until the sun goes down. Even when I go to Tenjin, I wait until the evening. And even then, it’s still so hot that I sweat. Haha. Times like these are the best for going to a beer garden. 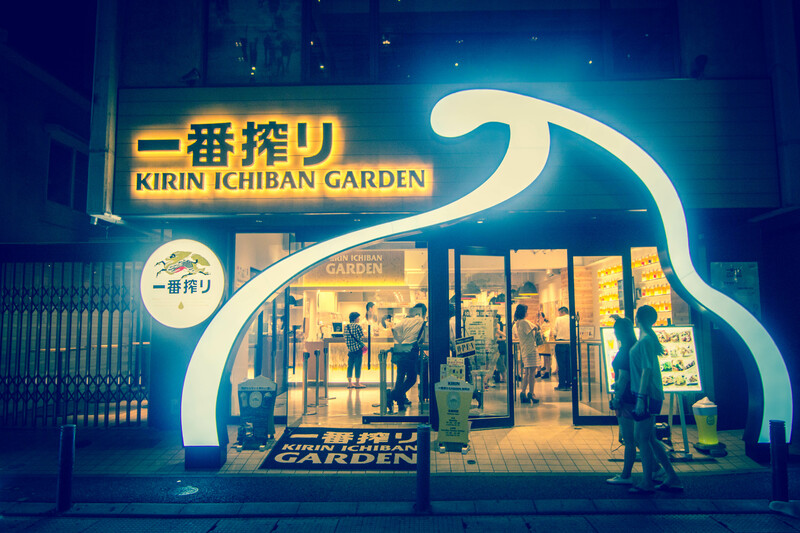 I chose to go to the Kirin Ichiban beer garden in Daimyo the other day. 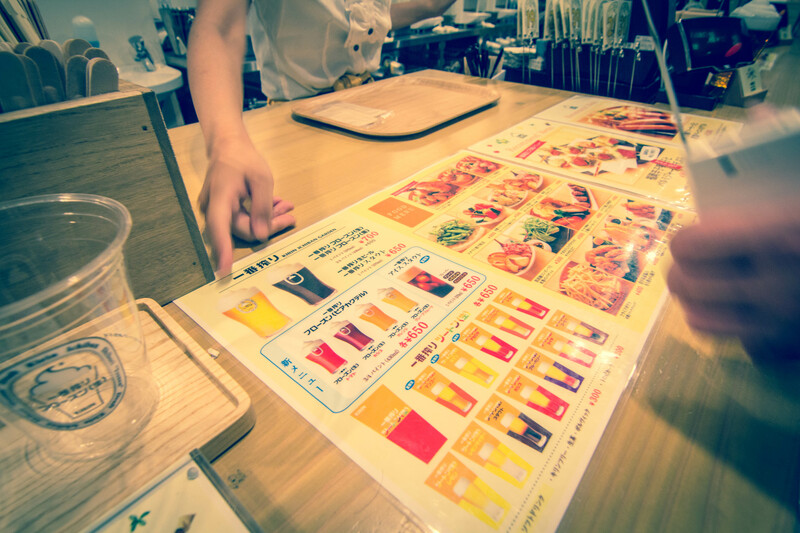 But the idea of drinking frozen beer in the humid hot summer seems kind of refreshing. Actually it was my first time ever in a beer garden. Going inside the store, the people were loud. I could see that it’s popular. I got a Cassis Frozen Beer. It’s like a cocktail after all. Haha. The taste was really “thin” though, or should I say “light”? It had the ~nuance~ of Cassis but still mostly tasted like beer. Haha. Sorry, I’m Micaela and I’m bad at describing things. But even though I don’t normally drink beer, I could drink this. So how are you spending this hot summer? If you have any tips for cooling down, let me know! 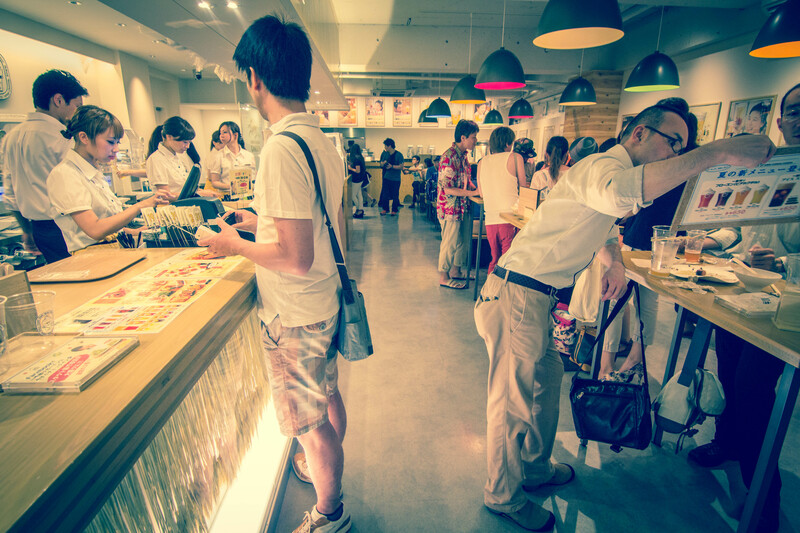 Posted in Food, fukuoka, japan, Micaela, Tourism, TravelTagged 2013, おすすめ, ガーデン, キリン一番搾り, ビール, フロズンビール, ミカエラ, Beer, Blog, ciaela, 福岡, 福岡市, Daimyo, Drinking, 食レポ, Frozen Beer, fukuoka, Garden, Ichiban, ２０１３年, Kirin, Micaela, Summer, Tenjin, Things to do, Things to do in Fukuoka, 口コミ, 夏, 大名, 天神Bookmark the permalink. I’ve noticed that, in both this blog and a previous video, that Japan seems to sell quite a few different fruit flavored beers. Is this a common thing in Japan? In England we have fruit flavored alcoholic drinks but they’re all like alcopops, not beer. There is something about beer. In a certain heat after a certain amount of exercise it’s the most attractive drink. Most of the time it’s not that great. I think it has to do with natural body cravings. Miciala that reminds me that BACK IN THE DAY(late 50s) they had a place across from canal city called Asahi beer hall……A pretty girl and a cold beer go together. １）For　coolin down・・・・Attack　The　ghosts house ! It’s been hot this year for sure. Yet I spent 2 weeks outside every single day. Jesus, I got a tan like woah! But I was in Okinawa, so that’s a different story. It has actually cooled down in the last few days. It’s really nice at night now. Although I’m German I couldn’t care less about beer. I just don’t like it. I bet Canada is much cooler in summer, especially at night. Probably not so different from Germany. When I was in Winnipeg it was so hot and humid that you needed a shower five minutes after getting out of the shower. I never could tell how hot it was as everything was in Celsius. And then the gas prices in Canadian dollars per liter. I just gave up trying to translate and learned what a decent price and hot and cold was. Luckily I’ve never had that problem so far. Japan uses the same measurements as Germany (Celcius, cm, kg etc.). Winnipeg was just like most of the Eastern US, hot and humid. You get dry heat in the western states, from around Colorado west. In OHIO they have mowed green lawn in the freeway median year round it’s so humid. British Columbia is very nice (California weather). I’ve driven through most of it in the summertime. Japan in the summertime sounds about the same as the South East US, very hot and very humid. Matcha ice-cream and kakigori were the things for me!